Australia will swelter through what could be the hottest January on record with a 40°C heatwave set to sweep across the country. ‘This next hot spell will take us through to the end of month so I wouldn’t be surprised if it was the hottest January ever,‘ meteorologist Rob Sharpe told. 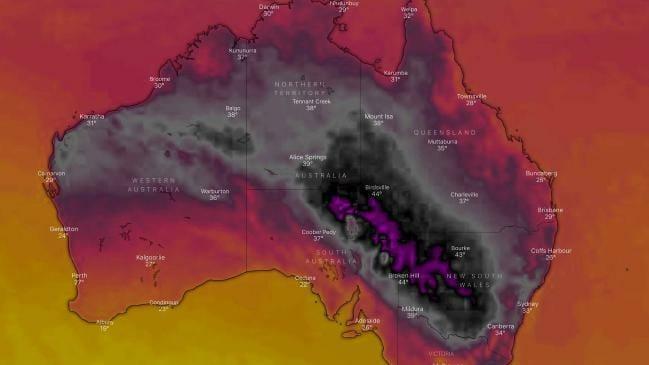 IT’S so hot in Australia their weather maps have turned black as temperatures hit 48C. Temperature records have already been broken but the worst is yet to come for many of the country’s territories. Soaring temperatures can be expected in South Australia, New South Wales, Queensland and Victoria beginning on Tuesday, interrupting the cooler weather that the eastern seaboard had last weekend. The hot spell about to engulf much of south east Australia is set to be even more blistering with meteorologists having upped their temperature forecasts. Adelaide is now set to hit 44C on Thursday and with parts of Sydney sweltering through a high of 43C on the weekend. The heat is expected to last until Australia Day, prompting more people to make their way to the beaches. More than 200 fires were currently burning across Tasmania, New South Wales, South Australia and Victoria combined and coming blustery conditions could see more spark up. “There is very hot weather coming through. Friday could be the most dangerous fire day we’ve seen this summer across south east Australia. The fire threat will ramp up again to a peak on Friday when winds and temperatures look to be worse than today. 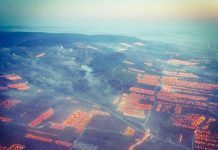 This will lead to multiple districts with severe fire danger and even the chance of extreme fire danger in parts of Tasmania, something that is exceptionally rare,” he said. Severe Fire Danger for the Midlands and East Coast. Very High Fire Danger for the Central North, North East, Upper Derwent Valley, South East and Central Plateau. Monitor the situation here: https://t.co/jkiR2FaDGX and https://t.co/ciTT6HBBtu. People living in south east Australia have already been warned of an “intense hot spell” for the end of the week as well as the possibility this January could be the warmest on record. If that record does fall then it’s possible the accolade for the hottest Australian summer since records began could also be snatched. Aside from the heat there is also a monsoon forming north of the continent, a possible tropical cyclone to the west and wind and rain for Perth and south west Western Australia — all in the run up to Australia Day. The bubbling up of a monsoon could change things, particularly as January comes to a close. A tropical cyclone developing off the north coast is likely to bring rain into initially northern and central Western Australia. As this area is the engine of heat that often ends up in the southeast, it may bring down the highs. 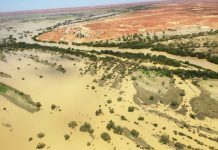 “That could bring rain across a good proportion of the country and will break up that heat and bring a little bit of cooling,” Mr Sharpe said. Meanwhile Australia: Prepare for five days from HELL! When the human body gets sick it develops a fever to fight the infection. Whites have destroyed the planet as children with no foresight to their toxic actions on the environment all to make a buck so they can feel like a man to their females. The Earth is now sick with a fever and that fever along with the antibodies of new diseases are exterminating the white race. We warned you but since your history is all lies you never take advice from anyone because you are miseducated into pure arrogance. All the people of color have been warning you for centuries. YOU NEVER LISTEN!!!!!!!! Now it’s too late and you’re all going to die. Dumb…………. You are a RACIST lunatic and people like you cause more harm than good. Shut up FOOL! Corporations are responsible for the problems life is having on Earth. 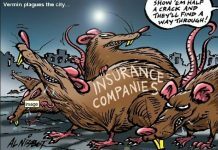 From the insects to the worms, to the deer to the Lion, to people, Corporations are killing life on Earth like there is no tomorrow and for most life on Earth, there will be no tomorrow. You can call the Corporations white if you like, like slavery is called white though the Africans and the Indians were just as involved with slavery as whites ever were, more so, actually, in reality, whites neither procured nor sold slaves, but, Africans and Indians did procure and sell slaves along with the Arabs, the Muslims, etc.. Whites, were not involved with slavery, whites are not involved with the Corporations except the few filthy rich Crypto Jews who bend over and drop their drawers for the Banker Masters. It was the Corporations, then too, the slaver’s Askenazi, white people like the slaves, slaves themselves, like the slaves from Africa, just victims. Exactly as we are just victims today, in this end time drama, being played on us, all of us, fooling with the weather, fooling with the minds of people, fooling with nature, even the Sun and the Moon. Call them white, but they are all of us, they will be th end of us, all. As old as the hills and nothing enlightening about it, the craving for, the love of, money, is destroying the Earth. Australia is a kind of the last stronghold of Reptilians on the Earth. The Reptilian power has been shifted from North America to Australia because the Reptilian military power in USA has been weakened since Obama. Now Trump is draining the Swamp where a bunch of powerful Reptile People have occupied. I guess many Reptilians and Reptilian agencies have moved from USA to Australia. That is why Australia has severe Karmic weather. “It’s so hot in Australia that their weather maps turn black when the temperature reaches 48C. Temperature records have already been broken, but the worst remains to be done for many areas of the country. ” If you take the average temperature of Australia for 35 degrees, Australia has increased the temperature by 13 degrees. The Paris Agreement recommends an increase in temperature not higher than 1.5 degrees. That is, Australia exceeded the established rate by 8.7 times, or 870%. To stop the growth of temperature in Australia, and to save the region of Australia and Oceania, there is only one way: Preserving the existing forests and doubling them from 16% to 32% due to planting tree seedlings. Lowering the temperature in Australia to centuries-old norms. Destruction of poisonous algae – and restoration of livestock of fish and fish products. Restoration of the surrounding Australian waters, including the rescue of the Great Barrier Reef. There are no other options for restoring the climatic parameters of Australia. Цитата: «Австралия страдает от самой тяжелой жары за всю историю». «В Австралии так жарко, что их погодные карты стали черными, когда температура достигла 48C. Температурные рекорды уже побиты, но худшее еще предстоит сделать для многих территорий страны». Если взять среднюю температуру Австралии за 35 градусов, то Австралия повысила температуру на 13 градусов. Парижское соглашение рекомендует повышение температуры не выше 1,5 градусов. То есть Австралия превысила установленную норму в 8,7 раза, или на 870%. Остановить рост температуры в Австралии, и спасти регион Австралия и Океания, можно только одним путём: Сохранением имеющихся лесов и их удвоением с 16% до 32% за счёт посадки саженцев деревьев. Понижение температуры в Австралии до многовековых норм. Уничтожение в атмосфере углекислого газа. Уничтожение ядовитых водорослей – и восстановление поголовья рыбы и рыбопродуктов. Восстановление окружающего Австралию водного пространства, включая спасение Большого барьерного рифа. Других вариантов восстановления климатических параметров Австралии не существует. Sorry to rain on your parade but the fact is the claims of record temperatures are nonsense. There are high temperatures some places, but not higher than they have had in the past. Many places, such as my state of Western Australia has been having very mild summers now for years.